With 21 teams spread around Russia, as well as single entries from Belarus, Latvia and Kazakhstan, the Kontinental Hockey League (KHL) encompasses an enormous amount of territory in Europe and Eurasia. Starting this season, the league will award two separate prizes. The playoff champion (Ak Bars Kazan are the defending titlist) wins the Gagarin Cup. Starting this season, the league has added a regular season championship similar to the NHL's Presidents' Trophy, called the Russian Championship. The league has an Eastern Conference and Western Conference and there are two divisions in each. The Eastern Conference has the Kharlamov and Chernyshev Divisions, while the West has the Bobrov and Tarasov Divisions. Currently, Metallurg Magnitogorsk leads the Eastern Conference and is the front runner for the Russian Championship with 75 points. SKA St. Petersburg (73 points) holds the lead in the Western Conference. Salavat Yulaev Ufa (70 points) is the runner-up in the East, while HC MVD (60 points) is a distant second in the West, but leads the Tarasov Division. The Ak Bars (47 points) are scuffling along with the 13th best record overall in the league. Players from the former Soviet Union still comprise the lion's share of the rosters in the KHL, and there are restrictions on the number of games import goaltenders can play (a reaction to the difficulties the Russian program had over the last decade in developing top-quality goaltenders). The circuit's predecessor, the Russian Super League, was dominated by foreign goalies. Russian teams are limited to signing five foreign players and can dress no more than four imports for any single game. By far, the biggest name on Metallurg this season is longtime NHL star Sergei Fedorov. The former Hart Trophy winner, who will turn 40 next week, returned to his home country to suit up for the same team as his brother, Fedor. Sergei Fedorov has scored 7 goals and added 14 assists so far this season. That's good for third on the team, behind forwards Stanislav Chistov (13 goals, 29 points) and Tomas Rolinek (12 goals, 22 points). Always a defensively strong player, Sergei Fedorov's plus-20 rating is tops on the entire team. Meanwhile, defenseman Vitali Atyushov leads the blue line with 15 points and a plus-11 rating. The biggest strength for SKA has been its stacked defense and the goaltending of former NHL keeper Robert Esche. Thirty-nine-year-old Sergei Zubov is still spry enough to lead the St. Petersburg defense with 5 goals (three on the power play, one shorthanded) and 22 points to go along with his plus-nine rating. The club's other top-four defensemen are ex-NHL players Joel Kwiatkowski (4 goals, 16 points, 66 penalty minutes, plus-20), Andrei Zyuzin (2 goals, 11 points, plus-12) and Ray Giroux (2 goals, 9 points, plus-27). Up front the club has been led by Maxim Sushinsky (40 points) and Alexei Yashin (38 points). 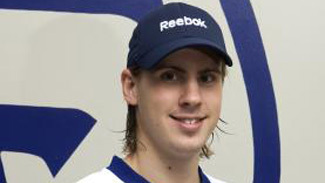 Former NHL forward Nils Ekman has chipped in 20 assists. To date this season, the leading scorers in the league are SKA's Sushinsky (14 goals, 40 points in 33 games), Salavat Yulaev's Alexander Radulov (16 goals, 38 points), SKA's Yashin (11 goals, 38 points), Salavat Yulaev's Sergei Zinoviev (14 goals, 37 points), Salavat Yulaev's Patrick Thoresen (13 goals, 36 points), Dynamo Riga's Marcel Hossa (a league-leading 23 goals, 34 points) and Mattias Weinhandl (14 goals, 34 points). Former Pittsburgh Penguins forward Alexei Morozov, the perennial scoring champion in the latter years of the Russian Super League, has 17 goals and 31 points for the Ak Bars. His linemate, Danis Zaripov has a dozen goals and 31 points. Last season, the top five overall point scorers were Sergei Mozyakin (76 points), Jan Marek, Morozov, Zaripov and Kevin Dallman. The top goal scorers were Marek and Pavel Brendl with 35 each, followed by Mozyakin and Zaripov with 34 apiece. From a statistical perspective at least, the leading goaltenders in the league to date have been the Metallurg Magnitogorsk duo of Ilya Proskurvakov (1.91 goals against average, .928 save percentage, four shutouts) and Vasily Koshechkin (2.08 GAA, .923 SV%, four shutouts). Former NHL goaltenders Robert Esche of SKA St. Petersburg (2.00 GAA, .917 save percentage, three shutouts, 43 penalty minutes) and Atlant Mytishchy's Martin Gerber (2.19 GAA, .912 SV%, one shutout, 25 PIM) have been the top performing import goaltenders. Other goaltending standouts include Jeff Glass of Barys Astana (2.44 GAA, .932 save percentage) and Avangard Omsk's Karri Ramo (2.03 GAA, .913 SV%).